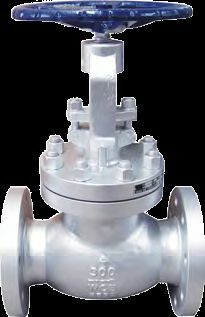 Exported and supplied by us from Singapore, Globe valves are mostly used in the oil and gas industry.The valve we supply belongs to KVG-02 series.While designing, we strictly adhere to BS 1873/ASME B16.34 standards and have it tested and inspected through API 598. The design of the body is straight pattern. It has a loose disc and we provide a choice of plug or a ball renewable seat ring.The size is 24”.